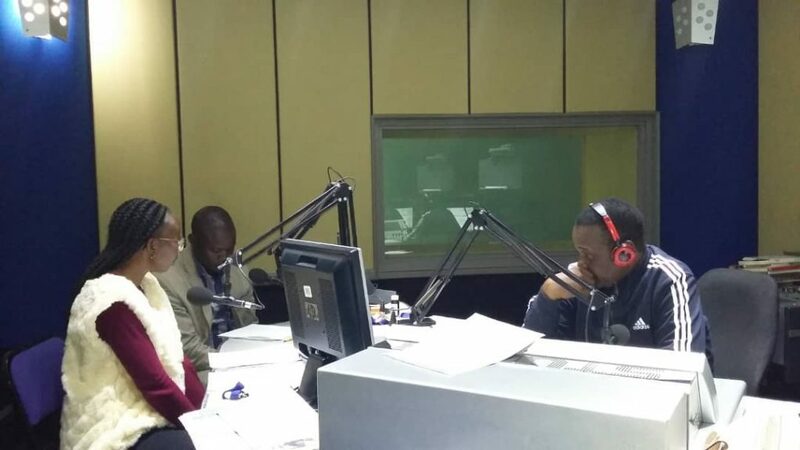 To encourage public dialogue on climate change in Namibia, the Adaptation at Scale in Semi-Arid Regions (ASSAR) project launched a special climate change radio series with national broadcaster Kati-FM, one of Namibia’s most popular stations. The debut show aired on July 30 gave an introduction to climate change and provided the opportunity for radio listeners to call in and ask questions. The second show, aired on August 6, focused on how religious and traditional beliefs are stopping farmers from adopting Climate Smart Agriculture practices in northern Namibia. The third and fourth shows addressed respectively drought in northern Namibia and the importance of climate change communication. The fifth, sixth and seventh episode aired in September 2018 and looked at gender, agriculture, and climate change policy and action in Namibia. Guest speakers included Sion Shifa, from Namibia’s Ministry of Environment and Tourism (MET) and Martin Embudile from Namibia’s Ministry of Agriculture, Water and Forestry (MAWF). More information can be found on the ASSAR website.